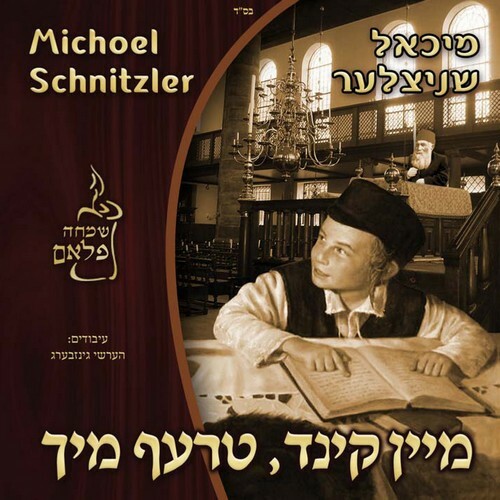 The all new Michoel Schnitzler CD in Yiddish “Mein Kind Treff Mich” will be released IY”H by Yum Kipper, with 11 all new Compositions by Lipa Schmelczer, pinky Webber, Motty Ilowitz, Naftali M. Schnitzler, Shauli Grossman, Moishe Weintraub (Israel), Yeedle Herhkowitz (Israel), Hershey Fuchs, Moishe Wertzberger and Duvid Kaufman. Michoel’s Yiddish Albums are known to be the best of its kind from Humor to Drama to great stories, for everyone to really enjoy. Music was Arranged by the most talented in Yiddish Lyrics-Music Translator Hershy Ginsberg (London), Recorded in Israel by the most Professional Musicians, Vocal Recordings was done at Spectrasonic Studios Brooklyn, NY- engineered by my nephew Naftali M. Schnitzler, Goldman Enterprises Studios Brooklyn, NY-engineered by Chaim Itcha Goldman and at MK Studios Kiryas Yoel NY-Engineered by Moishe Krausz, mixed by Ruli Azrachi at Spectrasonic Studios, and Mastered by Larry Gates.